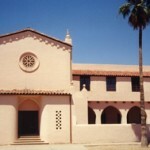 The chapel reflects the Spanish architecture popular in the Phoenix area in the early 1900s. The construction was presided over by Bishop George F. Price and the chapel was dedicated on April 24, 1932 by President Heber J. Grant, then President of The Church of Jesus Christ of Latter-day Saints. The chapel had a seating capacity of 400 people and included a beautiful organ installed by the Austin Organ Company of Hartford, Connecticut. 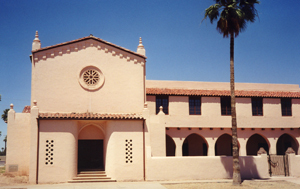 It served as the home of the Phoenix Second Ward until 1972, when it was sold to the Arizona Department of Transportation for a right-of-way for Interstate 10. 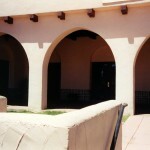 It was saved by its being designated as a historic site and the path of the freeway was redirected. 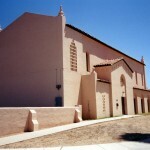 It was used for several years by the Phoenix Arts Council before being sold to the Great Arizona Puppet Theater in 1996, the current owners. 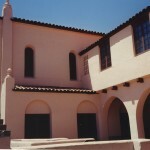 They have repaired and restored much of the interior. 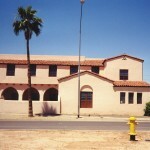 It remains a building of significance in the history of Phoenix. 1 “Dedicated Again?” Latter-day Sentinel, April 1982. 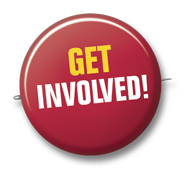 Special thanks to Michael Ensign for providing resources for the information presented here. 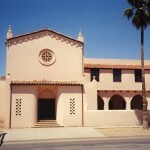 The chapel is now owned by the Great Arizona Puppet Theater and is being renovated. 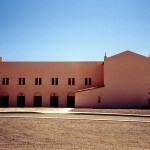 You can contact them at (602) 262-2050 if you would like to visit. Source(s): Dedication program of the Phoenix Second Ward Chapel and Recreational Hall dated April 24, 1932 in the possession of Michael Ensign.